Ted came to Miami wanting to go shark fishing. But he gets seasick very easy. He called me and I told him we can shark fish in the flats of Biscayne where it’s too shallow for any waves or we can go inshore Miami and fish for sharks there. He got a very calm day and we headed out to the flats and shallow waters of Biscayne bay. 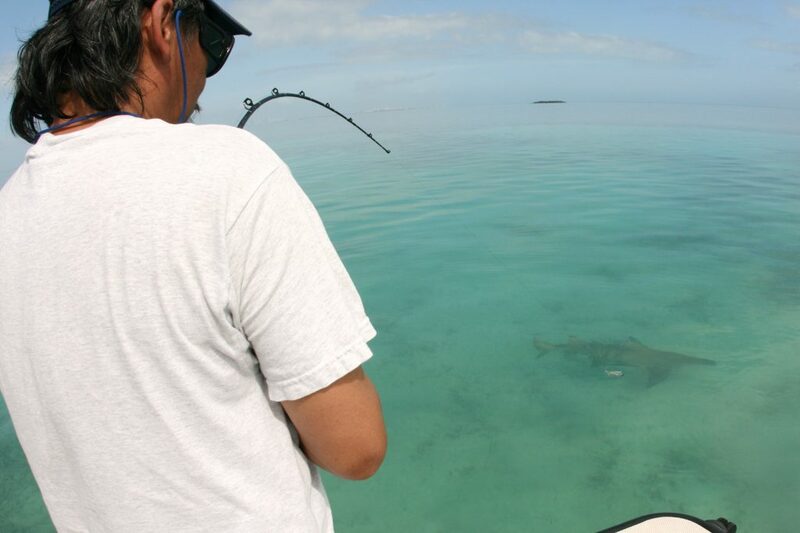 We caught some large lemon sharks like the one in the photo and also some black tip sharks that day.